SKILSAW SOUTHPAW SPT67M8-01 – One of the best tools for the left-handers! 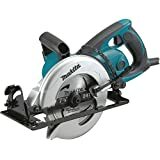 If you are a left-handed person, and you’re interested in buying a new circular saw or getting a circular saw for the first time, but you want to know which one the best option for you is. During your googling, you might have come across articles about a left handed circular saw. Or maybe your friend mentioned to you because you’re left handed yourself. Either way, you’re interested in what they are and why they might be the best option for you and your future projects. We’ll tell you all about the left handed circular saw, but if you’re new to woodworking let’s talk about what circular saws are first. 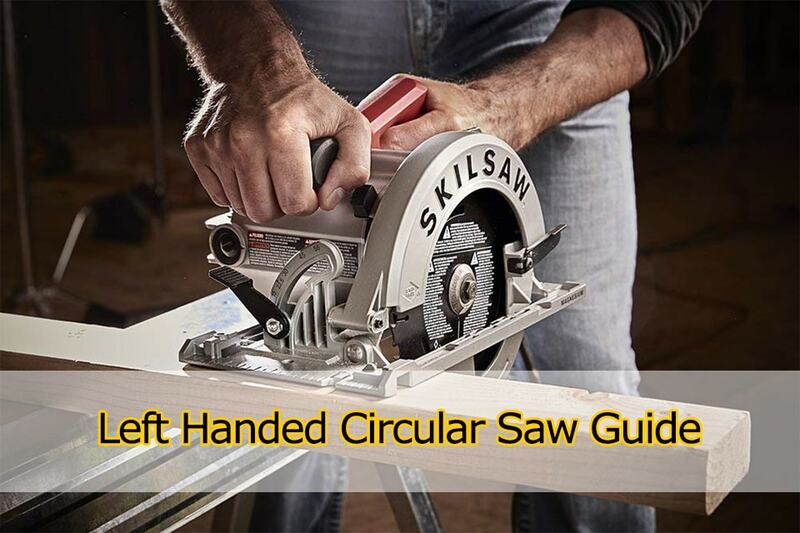 What Are Left Handed Circular Saws? Liked What We Had to Say? A circular saw is a hand-held power tool that can cut through material such as metal, wood, plastic, and more. Depending on the material you want to cut through, you may need a specific circular saw or particular blade, like a metal-cutting circular saw. Just like how certain circular saws are designed by manufacturers for specific materials, so too are circular saw blades. Most circular saws allow you to switch out the blade that they come with, as well. 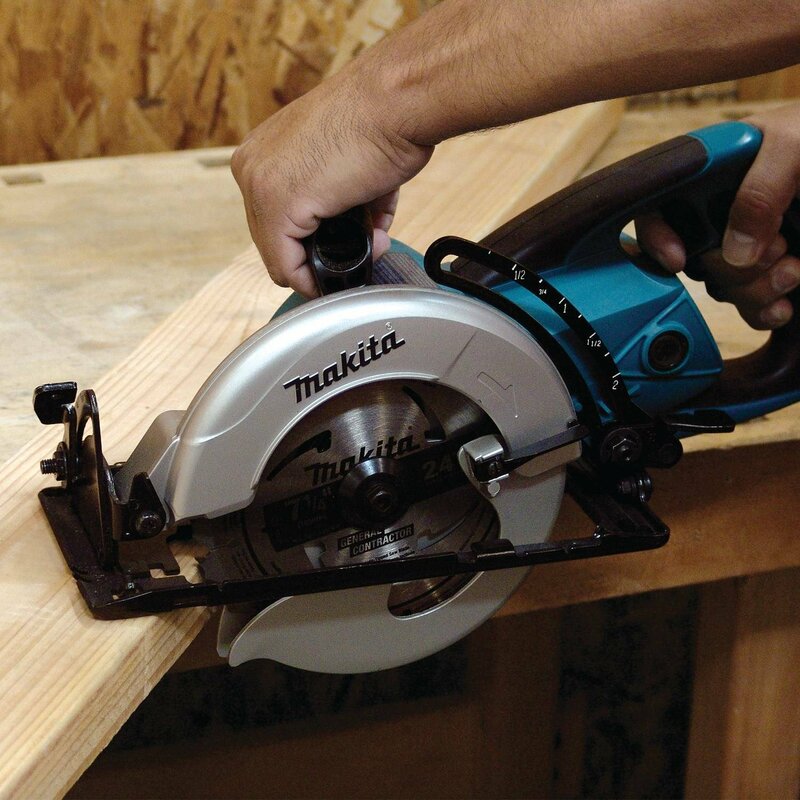 So, if you have a wood-working project where you need to make straight cuts or angled cuts, then a circular saw will be perfect for you to use. And if you’re left hand dominant, then a left handed circular saw will be a good option. But when we say left handed circular saw, what do we mean? 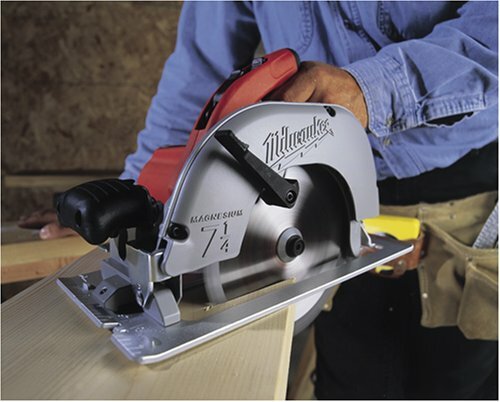 A left handed circular saw is designed to put the blade on the left and the motor on the right. This design allows you to grip the main handle with your left hand and the secondary handle with your right, which is why this design benefits left hand dominant users. A right handed circular saw is designed in reverse, with the blade on the right and the motor on the left. Right hand dominant users benefit the most from this circular saw. Now, here’s why there are differences between the two. Skilsaw Southpaw SPT67M8-01 – The blade is mounted on the left. SKIL 5280-01 – Notice that the blade is on the right. Now don’t think that a left handed circular saw is the only option available. 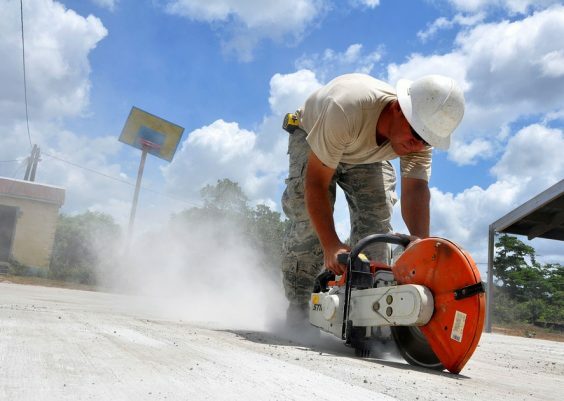 While most sidewinder saws are designed with the blade on the left side, some manufacturers do make saws that have the blade on the right instead. Ideally, you’ll want to get the saw that has the blade on the side of your dominant hand, and there are some reasons for that. 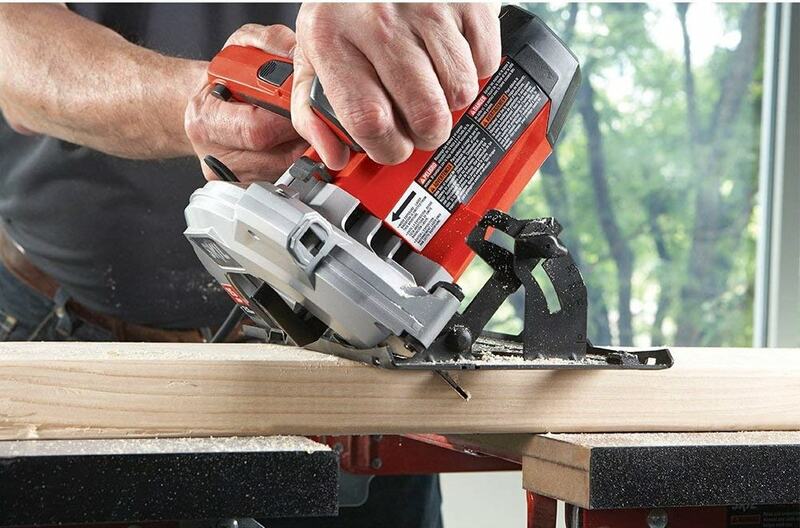 Circular saws are designed to be used with two hands at once. 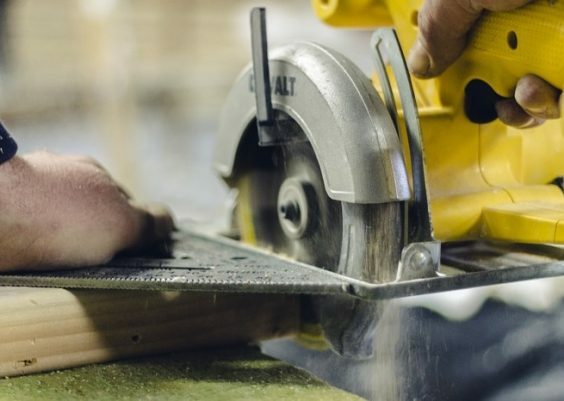 If you have a right handed circular saw and you are left hand dominant, then you’re likely to grip the main handle with your left hand and the front handle with your right hand while cutting. This is where the problem arises because your right wrist is now blocking your line of sight. Your right wrist is also crossing over the blade guard, which can be a safety hazard should your blade guard fail or is missing. This same situation can happen if you’re using a left handed circular saw and you are right hand dominant. To avoid that situation, it’s better to get a left handed circular saw if you’re left handed and vice versa. By doing so, you’re gripping the main handle with your dominant hand, and your non-dominant hand isn’t crossing over the blade guard or blocking your line of sight. Something else to consider that may end up being a minor thing for you is the placement of the material you’re cutting with these saws. You usually want to have the material you’re cutting underneath the motor of the saw to act as support. Depending on which saw you’ve bought you’ll either have the material on your left side or the right side. This is important because you don’t want to place the motor of your circular saw over the waste edge, the side of the material you’re cutting off, because when the waste edge falls away your saw will lose that support. 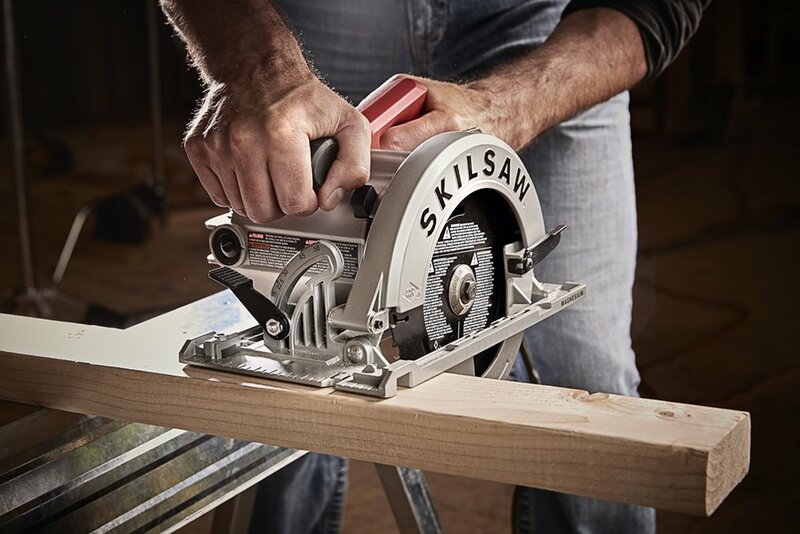 The most notable characteristic of a left handed circular saw is the fact that the blade is on the left side of the motor, which we’ve mentioned briefly. The placement of the blade is the easiest way to identify a left handed circular saw. Also mentioned earlier is the line of sight. Left handed circular saws have a clearer line of sight because the main bulk of the saw, the motor, is not blocking your view. Another characteristic you’ll want to pay attention to while shopping is that some sizes of circular saws are often dominated by right handed or left handed designs. For example, 6 1/2 inch circular saws are typically left handed. When you are shopping for a reliable left handed circular saw you’ll need to keep in mind the size for this reason. You may also find that a lot of cordless saws are left handed; whereas, a lot of corded saws are right handed. The cordless feature is great for you if you prefer better movability as opposed to a steady power supply. While looking for a good left handed circular saw, you’ll also want to consider the type of saw you want. So far, we’ve been mostly talking about sidewinder circular saws. However, there are two other types of circular saws that we should mention. The two other circular saws are hypoid saws and worm drive saws. We’re mentioning these two saws because hypoid and worm drive saws are usually manufactured as left handed circular saws. Worm drive saws and hypoid saws are very similar in that they have the motor at the rear of the saw instead of to the immediate left or right of the saw, like with a sidewinder. One thing to note about worm drive saws and hypoid saws is that while they appear very similar, the biggest difference between the two is their gear systems. Those gear systems also affect the speed of the blade itself, which is why some people may prefer the sidewinder saw over a worm drive or hypoid saw. While the worm drive and hypoid saws are slower than sidewinder saws, they have increased torque as compared to a sidewinder saw. Since the worm drive and hypoid saws are generally left handed circular saws, they also have the same benefits as a left handed sidewinder saw. It will be up to your personal preference on whether you want better speed or greater torque when deciding between sidewinders, hypoids, and worm drive saws. With the technical bits out of the way, let’s review some left handed circular saws. 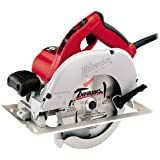 With a varying price point from $160 to $180 depending on the retailer, the Milwaukee 6391-21 Circular Saw is overall a good quality tool but does have some room for improvement. It features a 9′ cord with an adjustable handle. This saw has a max cut depth at 90-degrees of 2-7/16 inches. The Milwaukee circular saw comes with a plastic case, blade wrench, and the standard Milwaukee saw blade. The adjustable handle has eight positions for an easier and comfortable grip. There is no directional dust port to keep dust from flying out at you. The blade must come to a natural stop once you’ve finished cutting because this model doesn’t have an electrical blade break. May need to consider replacing standard blade for thicker material. The base plate is made of aluminum, which is prone to bending. 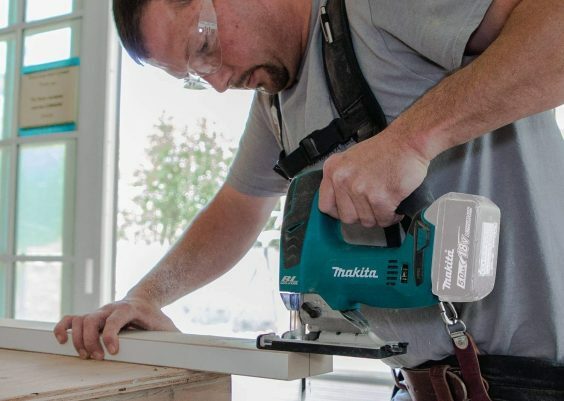 Priced between $119 to $340, the Makita 5477NB Hypoid Saw is a great quality hypoid saw that can stack up against the competition. Keep in mind that as a hypoid saw, it will have less RPM but greater torque capacity. Sealed gear housing requiring minimal maintenance. Included standard carbide-tipped blade and blade wrench. Oversized handles for comfortable grip. Push button spindle lock for easier blade changes. The motor is relatively quiet compared to the competition. Heavy and not recommended for over-the-head use. Increased torque causes kick back when first started up. May want to replace standard blade for thicker material. 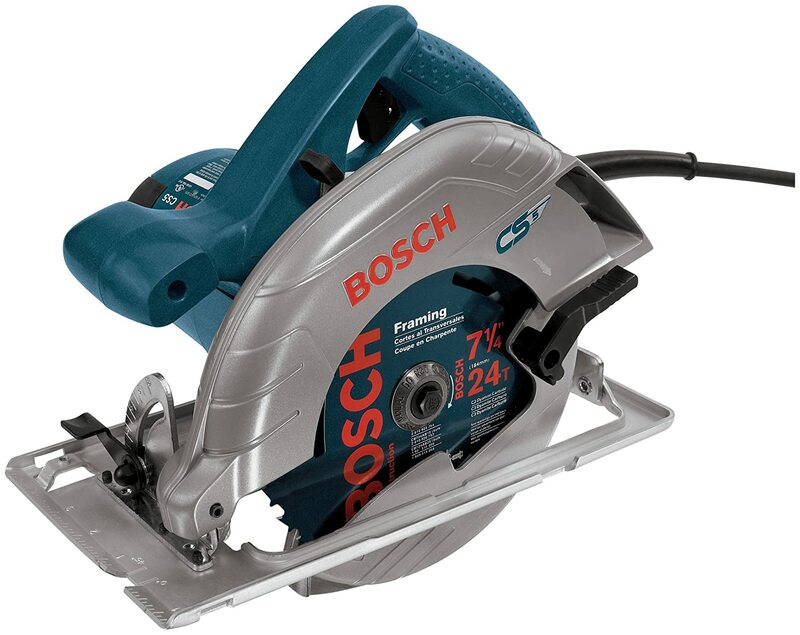 The Bosch CS5 7-1/4″ Left Blade Circular Saw is a good starting saw with prices ranging from $110 to $160, depending on the retailer. Carbide tipped blade and blade wrench included. The wrench can be stored on the saw for quick blade changes. Spindle lock, also for easier blade changes. No directional dust ports so dust will likely get all over your pants. No safety toggle switch. You’ll want to make sure to keep this properly stored and unplugged when not in use in case children are around. 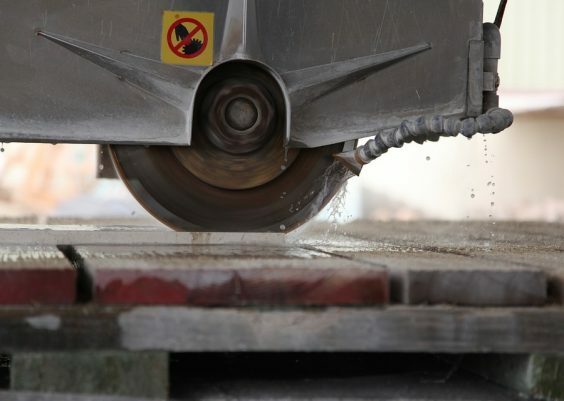 Bosch has reportedly said the blade plate is made of magnesium; however, customers have reported aluminum construction instead. 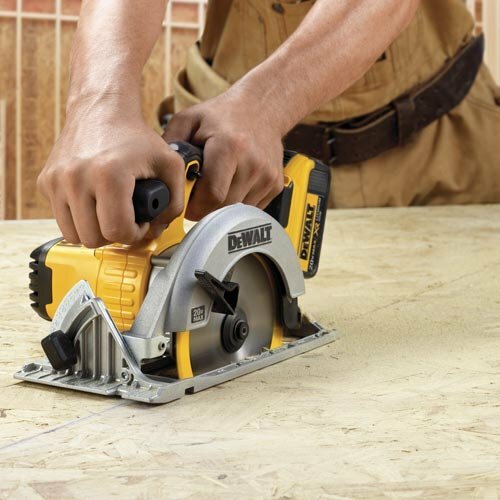 DeWalt DCS391B 6-1/2″ Circular Saw ranges from $99 to $140. 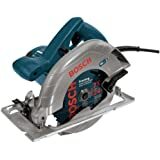 This saw is the smallest of the ones we’ve reviewed and, like the Bosch CS5, makes for a decent starter circular saw. This is a cordless circular saw which is great for the left handed people. Greater movability and won’t require extension cords. The base plate is of magnesium construction and more durable. Blade break that engages the moment you let go of the trigger. Rubber grips on handles for comfort. Saw guard is made of plastic and not very durable. Batteries are not included and will have to be a separate purchase. Standard blade works well on plywood but will need to be replaced for thicker material. 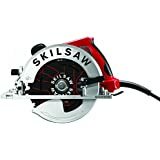 The Skilsaw Southpaw SPT67M8-01 7-1/4″ Circular Saw is possibly best circular saw in this review with great, durable construction while still remaining fairly lightweight. 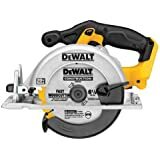 This saw prices between $119 and $150 depending on the retailer. All magnesium construction for longer lasting use. Worm drive styled guards to direct dust away from you. Rubber handles for better comfort. Dual copper windings, so the motor runs cooler and longer. The included standard blade may need to be switched out for a better-quality blade. No electric blade break for immediate blade stops. Whether you are right handed and use a left handed circular saw or left handed and use a right handed circular saw, it’s all still up to you. Whichever one you decide to buy should be the one you feel most comfortable working with. Of course, you may not have a preference and are comfortable with both types of saws. However, if you’ve never owned a circular saw before, then we recommend finding a home improvement store local to you and seeing if they have any circular saws on display. Pick up the display saws and handle them with both hands, with one hand, with your non-dominant hand, and your dominant hand. You’ll want to get a good idea of what feels the most natural and easiest to use for you. At the end of the day, this saw is for your personal projects, and you don’t want to get a circular saw just to find out it’s too awkward to operate. If you have any more questions about circular saws or other power tools, then contact us, and we’ll be happy to give you some answers. Also, if you ever want to get inspired for personal home projects then check out our Instagram where we post interior design ideas. I was telling my brother that worm driven saws are left handed. He says no! If the blade is on the left of the motor it’s a left handed saw and vice versa. Please reply if you agree with this. Worm drive saws can be used by right or left handers. It actually depends because some right-handed people use worm drive saw.